Role in the Foundation: Controller/Director of Finances. How did you find out about the Olancho Aid Foundation? Before I started working for the Foundation, I had been working at a bank as a cashier. The administrator from Cardenal High School, who was a friend of mine from college, used to come in to the bank with the tuition deposits from the school. One day he noticed that I wasn’t at the bank, and asked me if I still worked there. I jokingly told him no and asked if he had a job for me at Cardenal. Coincidentally, he was being transferred to Catholic University and his position needed to be filled. He recommended me for an interview and they gave me the job! The funny part was, I then had to go and quit my job at the bank (I had only been on vacation). How has your role changed since you began? I began as an administrator at Cardenal in June of 2005. Once the Main Office was created in 2009, I took on the role of Director of Human Resources, which I did until 2013. After that, I became the General Administrator in the office until December of 2016. Now, since January of 2017, I am the Director of Finances of the Main Office. 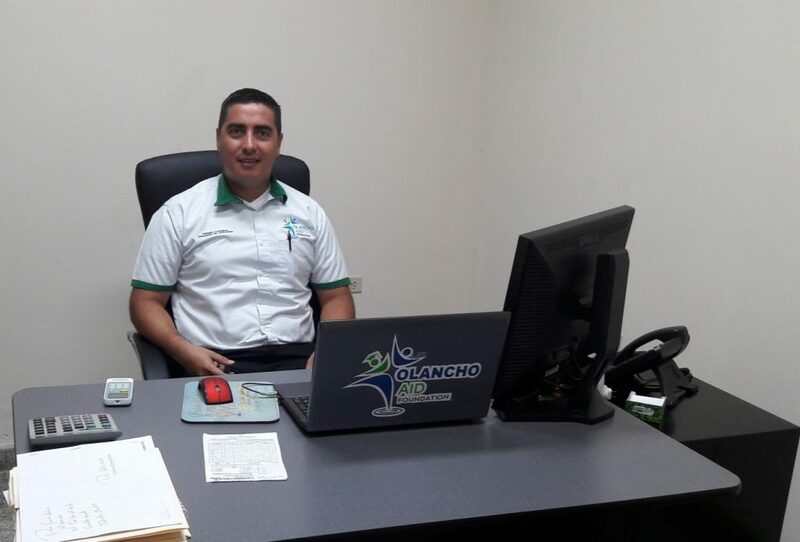 What I like most about my job is the satisfaction of knowing is that with my work, I’m contributing to the education of children and teenagers in Olancho, likewise, I like the opportunities that the organization has given me to be able to carry out all of the responsibilities that are required of me, and transforming myself into a professional. Do you have a favorite memory of your time with the Foundation? I’ll always remember when I arrived at Cardenal in 2005. When they were explaining my responsibilities to me, the outgoing administrator told me that the school had a large deficit, which surprised me a lot. They asked me to prepare a budget for 2006, and I remember very well that they told me that I had to reduce the budget as much as I possibly could. By the end of 2006 when I presented my final financial report, I not only reduced the deficit, but I also ended up earning the school a profit.